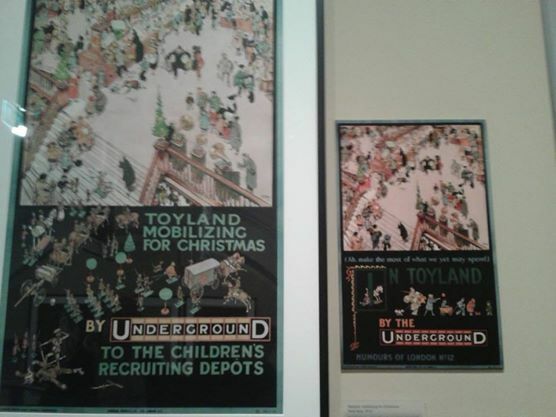 Running until the 8th March 2015, this is the latest exhibition to use posters and artefacts from the collections of the London Transport Museum. Goodbye Piccadilly is about the First World War, and more specifically, about the fleet of London buses which were sent into Europe and beyond, along with their drivers, to assist with the war effort. 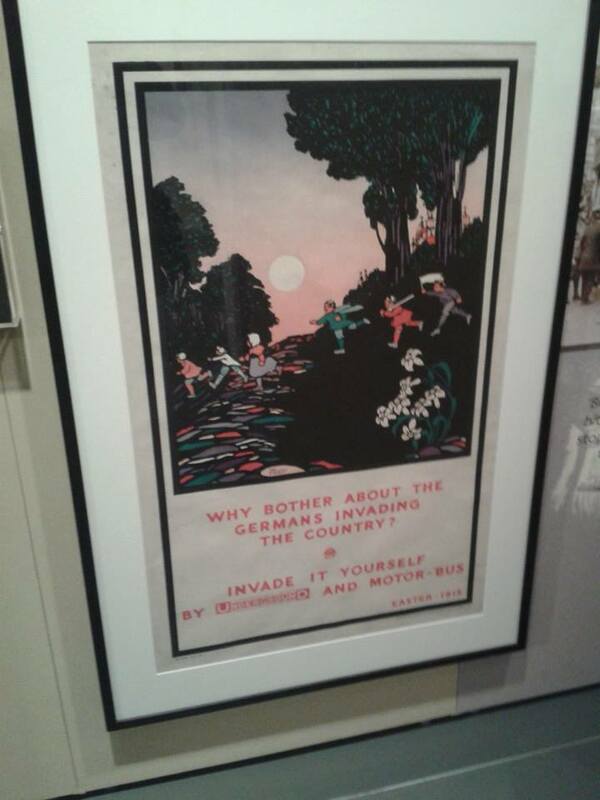 The posters on show present quite a naive and chilling message to those back in Blighty at the start of the war, as the examples above indicate – ‘the childrens recruiting depots’ being an example which made me particularly shudder. Other notable artefacts include the plate which adorned ‘Ole Bill’, one of those commandeered buses, the war memorial to the fallen, a bus conductress’ uniform, and more. There are two books to accompany this exhibition, and both are well worth getting (and currently available in the Museum shop at £20 for the pair). There is also a wall where you can add your own message to the soldiers and civilians of the Great War, and one such item, drawn by a child, simply said ‘Thank you’. 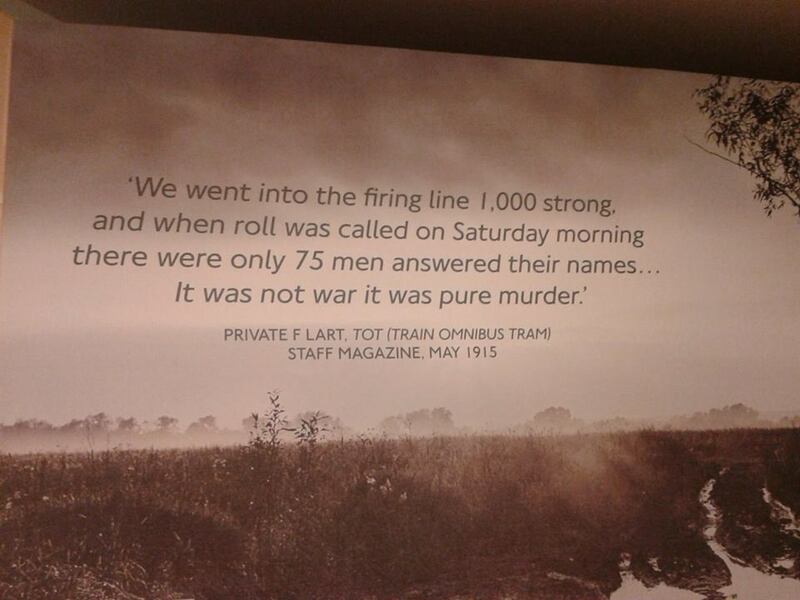 With all the commemoration of the 1914-18 conflict we sometimes forget the scale of sacrifice, and how everyone joined up, expecting the conflict to be ‘over by Christmas’. This entry was posted on Saturday, January 3rd, 2015 at 8:26 pm	and tagged with exhibition, goodbye piccadilly, london transport museum and posted in exhibition. You can follow any responses to this entry through the RSS 2.0 feed.